This literature review analyzed technological interventions in the adolescent asthmatic population. 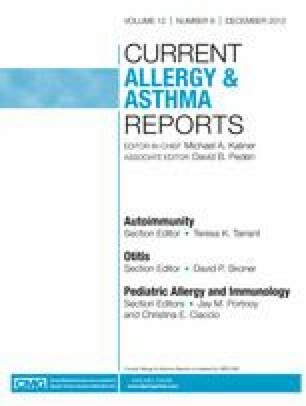 A PubMed search was performed with terms of asthma, adolescents, social media, Internet, website, mobile phone, text messaging, SMS, Facebook, Twitter, MySpace, and Technology during a 2.5-year period and identified 64 abstracts. Three studies fulfilled the criteria for adolescent intervention using Internet-based sites but did not provide evidence for effectiveness. Two studies focused on mobile technology. One study included text message reminders for controller medication use in asthma patients. Perceived usefulness, satisfaction, and ease of use of text messages were high, but there was no improvement in asthma control. The literature search did not find any studies exploring the use of smartphone applications or social media services. Current studies of technology use in adolescents with asthma do not provide consistent evidence of effectiveness. The positive attitude toward use of social media or mobile technology opens the possibility for future studies to further explore the potential benefits of such interventions. Jones S, Fox S. Pew Internet Project Data Memo. Pew Internet & American Life Project. E-Pub Date: 1/28/09. Accessed: 5/29/2012 HTML: http://www.pewinternet.org/~/media//Files/Reports2009/PIP_Generations_2009.pdf. Parent/Teen Digital Citizenship Survey, Princeton Survey Research Associates International for Pew Research Center's Internet & American Life Project. 7/22/2011. Accessed: 5/29/2012. HTML: http://www.pewinternet.org/~/media/Files/Data%20Sets/2011/Teens_2011_Online_Behavior_Topline.doc. Lenhart A. Teens, Smartphones & Texting. Pew Internet & American Life Project. 3/19/ 2012. Access date: 5/21/12. HTML: http://pewinternet.org/~/media//Files/Reports/2012/PIP_Teens_Smartphones_and_Texting.pdf.